BVR’s Ian Carley won ‘Farnham Sporting Inspiration’ at this year’s Farnham Sports Award held on 8 October. 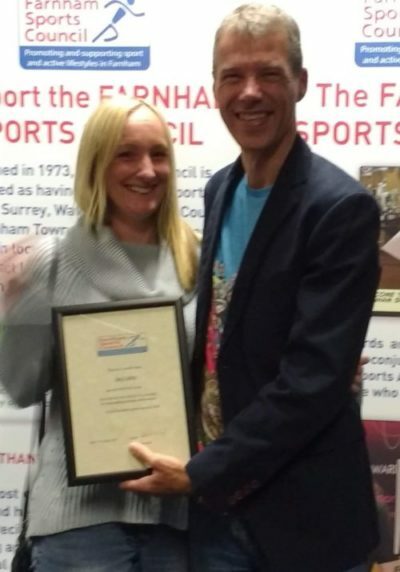 A lovely way to end the Sgt Steppers adventure, Step by Step – the charity Ian and the gang raised money for at this year’s VLM – nominated him for the sports (not music!) award – and he won! So if you see runners now playing guitars and wailing around the streets you know who to blame. Thank you to all at BVR who supported and helped inspire. If you’d like to read a little more please see Step by Step’s nomination below. To celebrate his 50th, Ian achieved a world first by running and busking the London Marathon – playing guitar and singing whilst running the whole 26.2 miles. Running, whilst singing, playing a guitar, carrying an amplifier and 6ft flag is no easy feat; Ian made significant progress over the year, and actually sounded great on the day! Ian, whose best marathon is 2h 46m, had to significantly adapt his style to run and play – about double his normal pace (12-minute miles rather than six). Ian achieved a sub 3-hour marathon in 2017 to qualify for a good for age time to get his London place. Although his pace and fitness have been compromised by his year of running whilst busking he’s now back training for a sub 2h 45m marathon (elite time). Ian raised over £11,000 for Crisis and Step by Step, a homeless charity helping disadvantaged young people in Surrey; a phenomenal amount for a marathon challenge. Ian played over 40 songs, motivating runners and entertaining spectators. Over Ian’s 20 marathons this was the most memorable and rewarding, enjoying the interaction with other runners. Taking 7 hours, it wasn’t about PBs; it was about inspiring and enjoying. Ian really enjoyed ‘running at the back’, noting the difference in attitude and atmosphere. 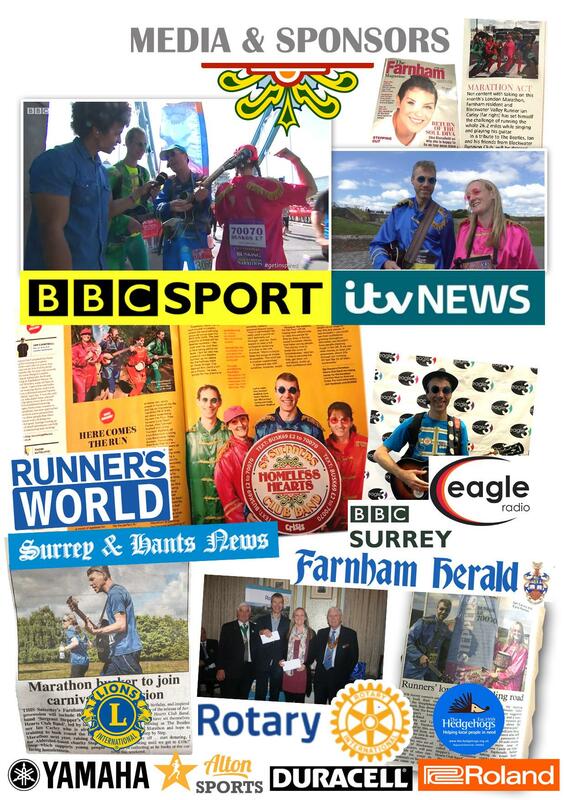 His challenge made a great impact on running locally – with many local races getting behind Ian and generously donating / providing places for the busking band to train. Ian was asked to lead out this year’s Farnham Carnival and was delighted to win Gold. Ian’s made a significant difference to the Step by Step team – as well as the running/busking training, he has tirelessly given a year of his time to raise funds and awareness. He’s used his running, and musical, talent to give something back to the community – not just to win races and trophies. He’s certainly added a lot of personality to running!